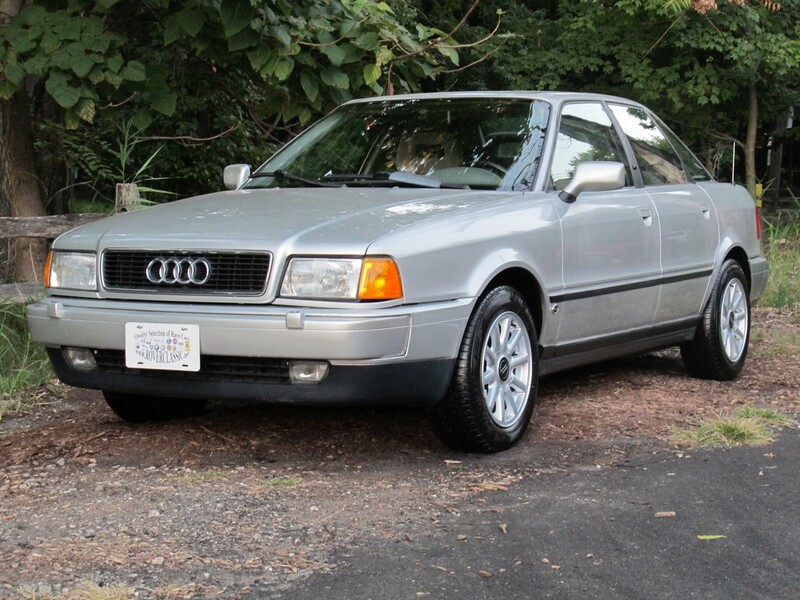 1995 AUDI 90 SPORT QUATTRO AWD ... 83,275 Original Miles Engine : 6 Cyl, 2.8L Transmission : Auto Vin : WAUEE88C6SA080578 Exterior : Silver Interior : Gray Body Style : Sedan This One owner Beauty spent half of its life in Missouri and then moved up to Connecticut, it has 5 Speed Manual Gearbox, Locking Central Differential, Power Brakes, Power / Heated seats, Fog lights, Power windows, Power door locks, Headlight Washers, Tape / AM / FM, Power Sunroof and Air Conditioning. Engine is in Good Shape, does not smoke, does not leak, nice and quiet. Gear Box feels Perfect, shifts without any problems, without delay, and without noise. Clutch feels like new. Suspension is in Excellent shape, Car tracks nice and straight. There is No Evidence of any Electrical problems. The exterior is in Excellent shape for a 1995. ( !!! Check out the pictures !!! ). The clear coat has lost some of its luster, which is typical for Audi of that era. There is absolutely no rust anywhere on this car's galvanized body. Cloth Seats, Carpet Floor and Glass are all in Great shape ( !!! Check out the pictures !!! ) Interior of this car is Nice and Clean ( !!! Check out the pictures !!! ). This Audi has 4 matching Tires (90% tread), that are mounted on Good straight rims. Our mechanics have performed Basic Maintenance on this car, they have also replaced Motor Mounts, Timing Belt and Water Pump, Serpentine Belt, Idler Tensioner, Brakes and Rotors It will be sold with a clear title and it will be sold as-is, where-is.